I’ve never been big on this day. Considering the fact that my father rarely reared his head into the role of being a father. By definition a father is a male parent. Simple enough, just as the act of becoming a father is. So he’s got that part, I guess. By my definition a father is a MAN who takes care of his child(ren); providing love, support, time and knowledge as well as monetary and materialist things. This post isn’t to discuss the short comings of my father, but to uplift all of the men out there who go above and beyond for their child(ren) and/or children in general. 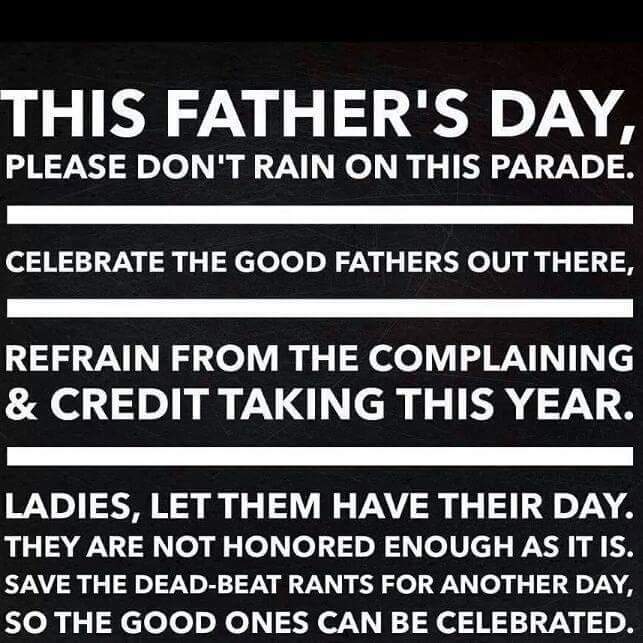 I personally feel they do not get all of the credit and celebration they deserve.